What makes pest control humane? BC SPCA > FAQs > Wildlife > What is humane pest control? What is humane pest control? When wild animals get into our yards and our homes, we sometimes call them “pests”. Rodents are the most common cause for pest control in our houses, but sometimes animals like raccoons, deer, rabbits and pigeons get into trouble too. Even “pests” deserve to be treated humanely. The best solution is to prevent the problem before it starts. Make sure you’re not accidentally giving them food (like pet food, bird seed, fruit trees, fish ponds) or shelter. Make sure your garbage and compost is in wildlife-proof containers. Seal gaps or holes in sheds, crawl spaces, attics and porches before they become a comfy nest or den. Trapping and relocating wildlife is not a permanent or humane solution. 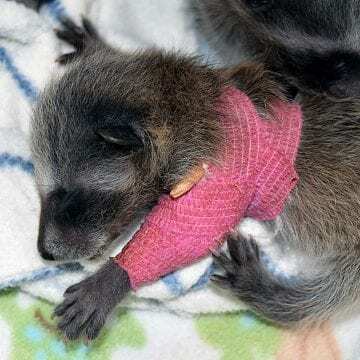 Trapping in the wrong season can also orphan babies. If you have to remove an animal, call an AnimalKind company that gently removes them instead of trapping/relocating or killing. If there are no AnimalKind companies in your area, find out how to choose a good pest control company. Learn more about urban wildlife. Glueboards or glue traps are plastic or metal trays coated with glue designed to catch rodents. These traps are legal and can be found in stores, but they cause rodents and other animals to suffer tremendously. Birds, small wildlife and even pets can get caught in this sticky situation. Never use glueboards! Photos courtesy of Rose Valley Veterinary Hospital. Rodent poisons or “rodenticides” are legal and used widely, but they cause a slow and painful death. Rodenticides are also dangerous for owls, eagles and even cats that eat poisoned rodents. Snap traps cause a quick death for mice and rats, but can be dangerous to wildlife and pets unless they are kept in a locked box or wall interior. Call an AnimalKind company if you need help with mice and rats in your home. 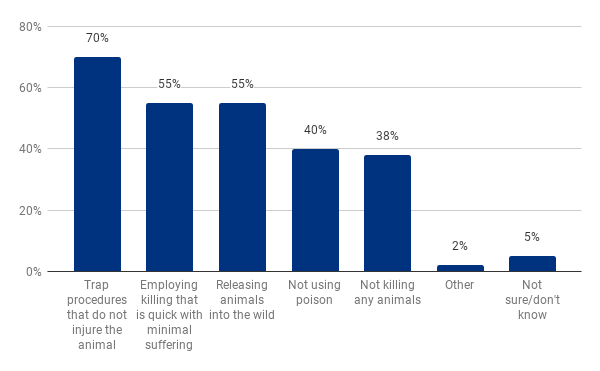 Vision Critical poll conducted for the BC SPCA in September 2015. Results have been statistically weighted according to current education, age, gender and region Census data to ensure a sample representative of the entire population of British Columbia (n=803, margin of error ±3.4%).